Whether you’re moving to a neighboring West Coast state or relocating your family clear across the country, planning an interstate move can be a stressful, overwhelming experience. 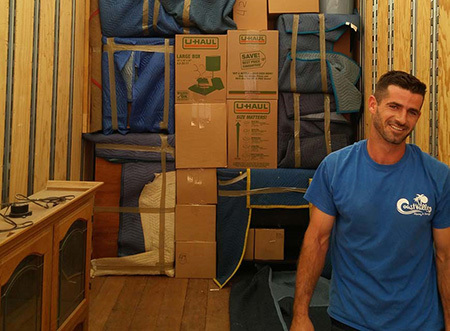 One of the best ways to ensure that you have a moving experience that meets your needs is to hire a reputable Orange County interstate moving company, and Coast Valley Moving & Storage is one of the most trusted names in the business. Moving to a new state takes a lot of coordination, and you don’t want to be stuck scrambling against a deadline. Research Orange County interstate moving companies well in advance, and start decluttering, making to-do lists, and contacting essential providers to update your address and transfer records. The more care and effort you put into your packing method the easier it will be once you arrive at your new home! Use quality materials to ensure that your items remain safe during transportation, and label each box with the contents and room location to assist your moving crew in streamlining the unloading process. At Coast Valley Moving & Storage, our Orange County interstate movers offer a wide variety of services to meet the unique needs of our customers. Whether you need basic transportation to your new home or a full-service moving and packing option, we can customize a plan to fit your needs and stay within your budget. As the first choice in Orange County interstate movers, Coast Valley Moving & Storage is proud to be a professional Interstate Agent of Wheaton World Wide Moving, and we are here to give you the tools you need to have a relocation that exceeds your expectations. To get started today by speaking to one of our friendly moving experts, just give us a call! You can also fill out our online form now, and we’ll be in touch to get you set up with a free, no-obligation estimate.